There are countless numbers of online casinos but if you’re new to online gambling then you probably don’t know how to choose casino. Each casino is run in a slightly different way, with different rules, customs, games, payouts and more. This guide will help you develop your own casino rating system so you can tell which casinos are worth gambling your money and which aren’t worth your time. Why is the casino rating important? Online casinos are not subject to the same stringent regulations as casinos in real life. This is because the country the casino is located in and the country a gambler is playing from can be different places, which is often the case. This is done by online casino operators for many reasons. It can range from legitimate reasons such as to take advantage of more lenient gambling laws or taxes in another country, to disreputable reasons such as scamming customers and making them harder to track down or to purposely complicate legal disputes. Thus it is important to do your research before choosing an online casino. First of all you need to choose a casino that is right for you. Casinos come in different flavours, from websites you can access from any browser to dedicated programs and apps you need to download to your PC or smartphone to use. Many casinos will have several of these options available, but not every online casino does. This means, for example, you should make sure the casino you choose has a mobile app if you want to be able to play on your phone on the go. It’s important to be aware that sometimes these casino ranking websites can actually be run by casino owners themselves, or casinos have paid the ranking websites to give their casino better ratings and a higher ranking. Try to pick ranking websites run by a community rather than a company, or one by a trusted third party consumer advocate group. Many of these will operate their own independent lists to help consumers choose only legitimate casinos. Nobody likes to read the walls of text that are the terms and conditions, but you really should before you start gambling. A lot of casinos know most people simply agree without reading them properly, so they can sometimes sneak some very gambler unfriendly rules in there such as minimal amounts required for withdrawal, minimum deposit amounts, long or complicated payout options etc. Even without properly reading the terms and conditions, by skimming for the relevant sections you want to know about you can generally get an idea of how the terms and conditions are written. Having poor English, with plenty of grammatical and spelling errors should be a red flag because usually these are set up by scammers in foreign countries simply trying to appear legitimate before they run off with your money. 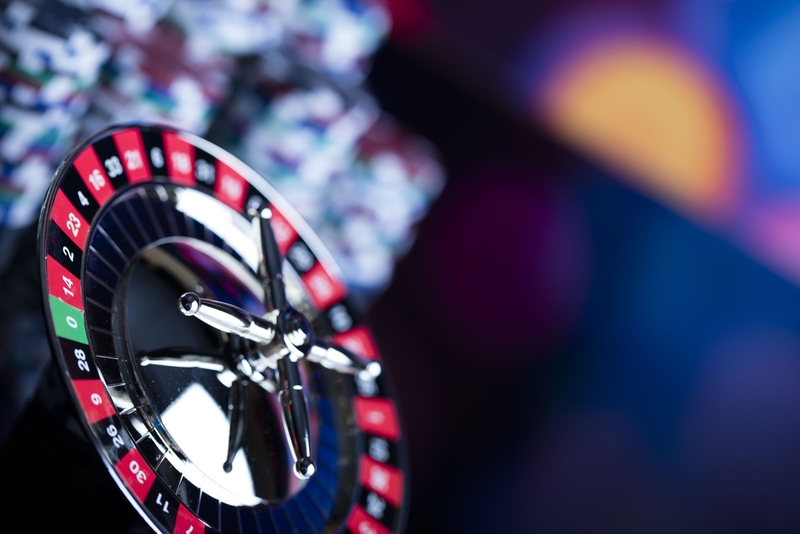 Other scammer tactics can involve simply taking the terms and conditions from another casino to use as their own. Sometimes they will be smart enough to replace the casino name in the terms and conditions, but not always! Needless to say having another casino’s terms and conditions is typically a red flag they’re a scam. A casino should have a clear, unique and well written terms and conditions that define exactly what you can expect from them. Probably the most crucial difference for gamblers between all legitimate online casinos is the terms and conditions of when and how they pay out. Naturally you play in the hopes of winning, and you want to know exactly how you will get paid when you do. There is quite a lot of information you should be aware of when it comes to payout. Firstly, check the currency used by the casino. They may pay in a particular real world currency only, or they may trade in something like Bitcoin. Be sure to also read up on all the accepted deposit and withdrawal methods, such as bank account transfer, credit/debit card, Skrill, Western Union etc. Next check how long it takes for you to receive money after requesting a payout. Casinos will typically require some processing time and anything up to 48 hours is reasonable. The casino should have a customer services department that you can call to check on the status of any of your transactions. Finally you should read up on the terms and conditions surrounding payouts. Many casinos will require minimum payout thresholds to be reached before you can withdraw anything. It’s also likely that a casino will have a maximum payout amount, above which they will not allow you to withdraw within a certain period of time. These are fairly standard terms for online casinos, but there are some that advertise having no withdrawal limits. There may also be a wagering limit, which is a requirement by the casino that you gamble a certain amount of money before you can withdraw. Staying safe when gambling online requires vigilance and due diligence but when gambling with real money it pays to be safe than sorry. Nothing kills the thrill or fun of gambling than getting scammed out of your money. Doing research up front and picking the right online casino leaves you to gamble with peace of mind knowing that, should you hit the jackpot, you’ll be laughing all the way to the bank!